Illinois Comptroller Susana Mendoza breaks the worst-kept secret in city politics: the 46-year-old former City Clerk is running for mayor of Chicago. But in saying she has “the best years of [her] life yet to give in public service to this city,” Mendoza prompts accusations of ageism in a crowded race of political heavy-hitters like Cook County Board President Toni Preckwinkle and former U.S. Commerce Secretary Bill Daley, who are both in their 70s. The fatal shooting of 26-year-old security guard Jemel Roberson by a Midlothian police officer at a south suburban bar prompts questions, community outrage and an investigation by the Illinois State Police. 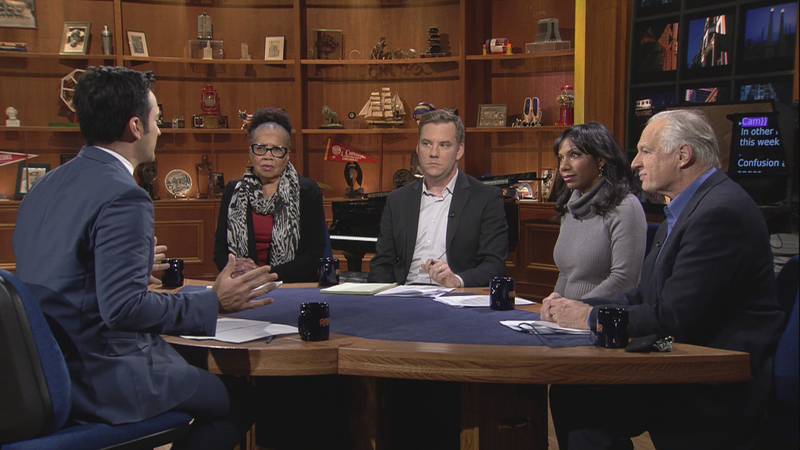 Amazon passes over Chicago in selecting northern Virginia and New York City as the dual locations for their second headquarters – our panel questions whether affordability was a genuine factor in the e-commerce giant’s decision. In sports, the Bears-Vikings’ Sunday night game, which was bumped to prime time, will be a tense standoff and battle for the NFC North Division’s first place spot. The conversation continues in our web-extra video. This week, Schutz and guests discuss the planned $75-million restoration of the landmark Uptown Theatre, closed since 1981, as well as the fate of other long-shuttered or demolished venues like the Regal Theater on the city’s South Side.